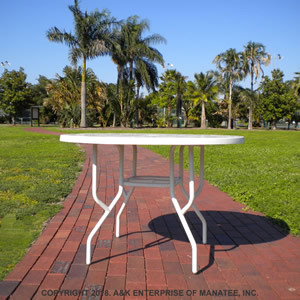 The FL42 Fiberglass Commercial Dining Table is perfect commercial outdoor venues. This beautiful table features bracing crafted from extruded aluminum to support the weight of the generous 42" fiberglass tabletop. This patio table can seat 4 and is available with or without an umbrella hole. Customize yours today!